With the retirement of long time County Road 5 founding member Barry Garvin, we will have a different look for the upcoming season. We welcome Marc Rochon to assume the vacated guitar position and 5 time CCBA Fiddle Player Of the Year, Joe White. We welcome Marc & Joe and are very much looking forward to performing with these two newest additions to the CR5 Bluegrass family! 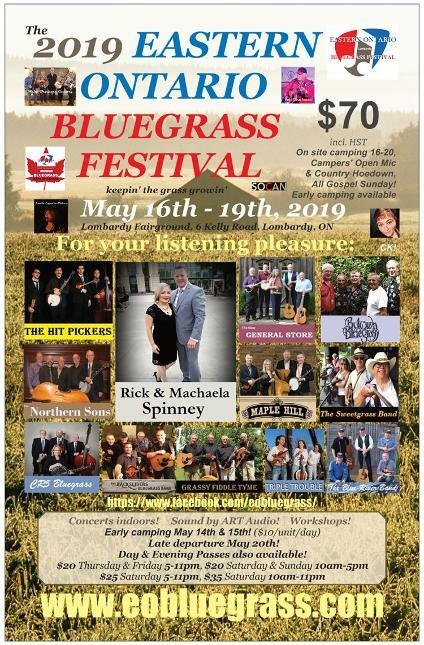 CR5 Bluegrass - Coming up! Performance dates are being posted as they become available! See our "Schedule" tab for details! 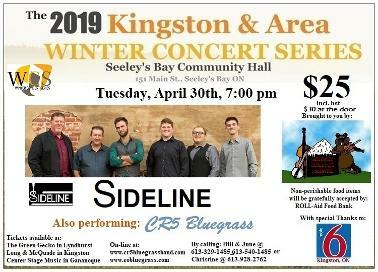 Tickets for the 2019 Kingston & area WINTER CONCERT SERIES and the 2019 EASTERN ONTARIO BLUEGRASS FESTIVAL now available! 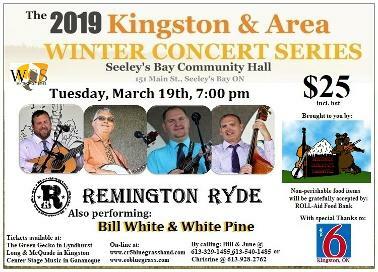 Tickets for tonight's show featuring REMINGTON RYDE and Bill White & White Pine will be available at the door! 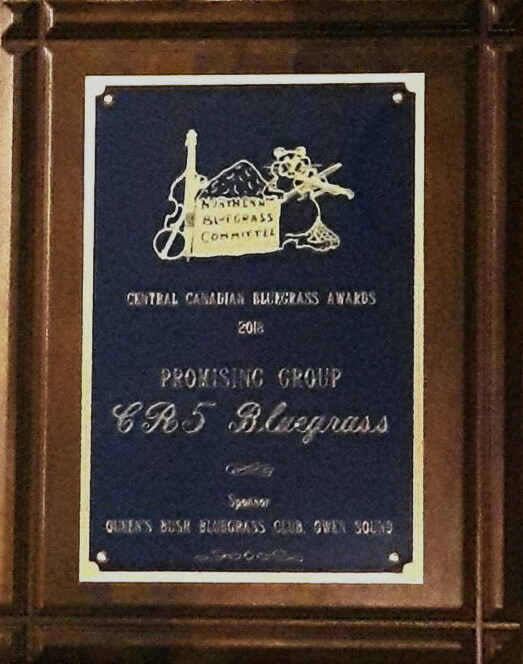 CR5 Bluegrass were very surprised, thrilled and honoured to receive the 2018 "Most Promising Group" award at the Central Canadian Bluegrass Awards which took place in Huntsville this past November. 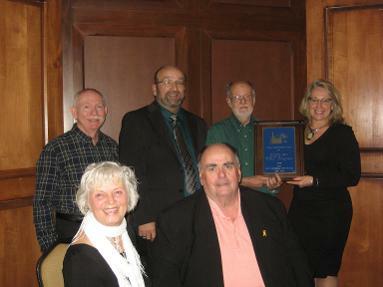 The award was presented to the group by Louise Grawburg-Gowanlock and Gord Chapman representing The Queen's Bush Bluegrass Club of Owen Sound who are the sponsors of this award. CR5 Bluegrass have also received nominations for 2018 "Gospel Group Of the Year" and the 2016 "Recording Of the Year".